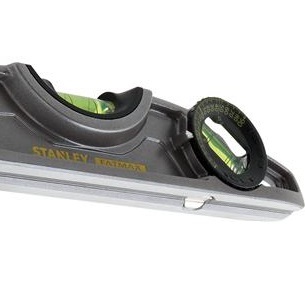 Stanley offers the Fatmax 9” Cast Torpedo Level and the Fatmax 9” Extruded Torpedo Level. The FATMAX 9" Cast Torpedo Level features rare earth magnets for excellent holding power to metals, says the company. 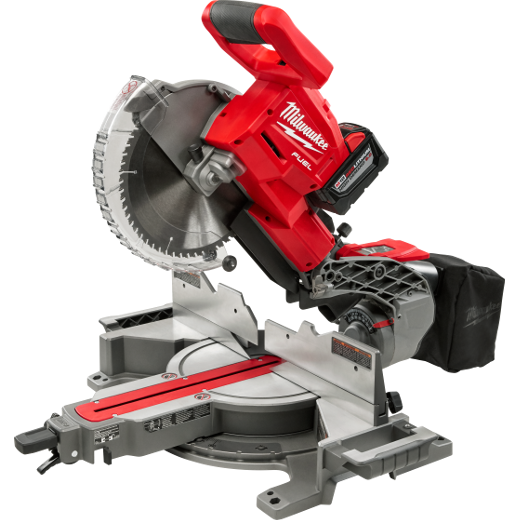 It has a die-cast aluminum body, that is slightly heavier than other levels for added strength and long tool life, adds the company. The level also features 180º Rotating Vials for duplicating precise angles such as a roof pitch of plumbers' drainage lines. The FATMAX 9" Extruded Torpedo Level has a box-construction design to sit securely on framing and includes both a block plumb and 45 degree vials. The extruded aluminum body offers strength in a lightweight design, says Stanley, and over-molded rubber end caps offer non-marring leveling and shock resistance. On both levels, the block plumb vials are calibrated for accuracy of 0.0005”/in, according to the company. The levels feature a magnified center block vial for easy readability, and enlarged vial housing for bright lit vials. The 9” Extruded Torpedo Level (FMHT42437) will retail for approximately $16.99. The 9” Cast Torpedo Level (FMHT43610) ) will retail for approximately $19.99. About Stanley Black & Decker Inc.